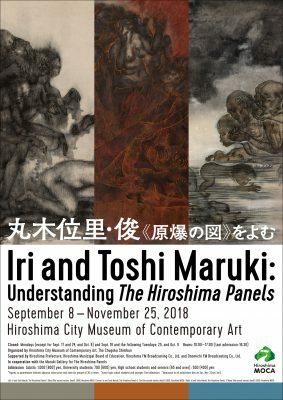 With his wife, the Western-style painter Toshi Maruki (née Toshiko Akamatsu; 1912-2000), the Nihonga (Japanese-style) painter Iri Maruki (1912-2000) collaborated to depict some of the calamities that have befallen people such as war and environmental pollution. The Hiroshima Panels, an important early trilogy by the Marukis, traveled all over Japan in the early 1950s at a time when press restrictions were still in effect. 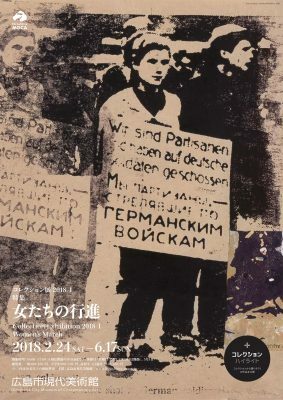 An early attempt to convey the horrific conditions that existed in Hiroshima following the atomic bomb, the series came to be a symbol of anti-nuclear and anti-war sentiment. Along with The Hiroshima Panels and related materials, this exhibition presents works by each artist from before and after the war, and considers how the pictorial endeavors and ideas expressed in the trilogy fit into the Marukis’ oeuvre. 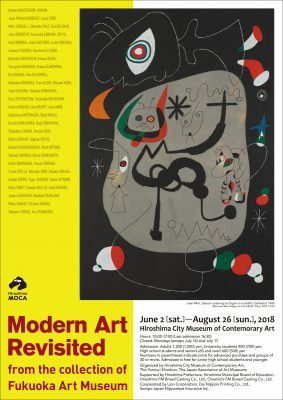 Opened in 1979, the Fukuoka Art Museum is a major institution known for its extensive collection of some 16,000 items, centering on two main pillars: modern and contemporary art, and antiques. As the museum is currently in the midst of a major renovation project in preparation for its reopening in 2019, this exhibition features approximately 70 masterpieces of American, European, and Japanese art from the museum collection. From Dalí and Warhol to Yayoi Kusama, the exhibition provides a valuable opportunity to retrace the course of modern art, marked by the rise and fall of a variety of movements in the 20th century, at this moment in time. The exhibition is made up of two sections: “Collection Highlights,”and the special feature, “Like a Face.”In the first, we focus on artists who, as leaders in a number of important trends, are indispensable to any discussion of 20th century art. In a special feature titled “Like a Face,” we focus on two- and three-dimensional works using the face as a motif. The exhibition is made up of three sections: “Collection Highlights,” and two special features, “The Century with Mushroom Clouds,” and “Prayer.”In the first, we focus on artists who, as leaders in a number of important trends, are indispensable to any discussion of 20th century art. 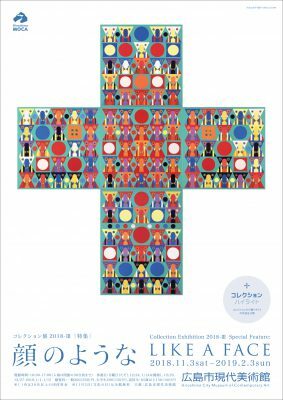 The date August 6, the anniversary of the atomic bomb and a day that will never be forgotten in Hiroshima, will fall during the exhibition. To commemorate this fact, we present two special features focusing on art related to the bomb. This exhibition is made up of two parts: “Collection Highlights” and a special display titled “Women’s March.”In “Collection Highlights,” comprising a group of works that have been specially selected from the museum’s holdings, we present a diverse range of contemporary art expressions. And in “Women’s March” we focus on works by women artists. 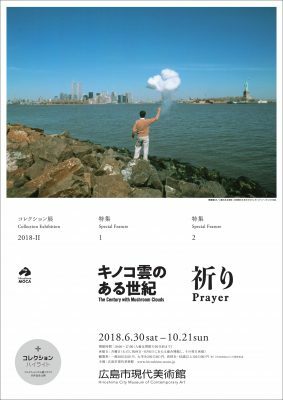 Along with King’s Monument for Hiroshima (1987-88), which was commissioned by the museum, and Caro’s Water Street Starter (1980), this exhibition places special emphasis on King’s work of the 1980s. 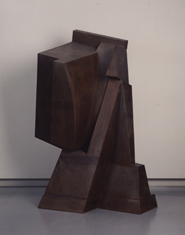 As King’s Head (1982-83), an outdoor sculpture on permanent exhibition at the museum, is related to the theme of Like a Face, a special display in the current collection exhibition, it promises to provide viewers with further insight into the artist’s style during this period. 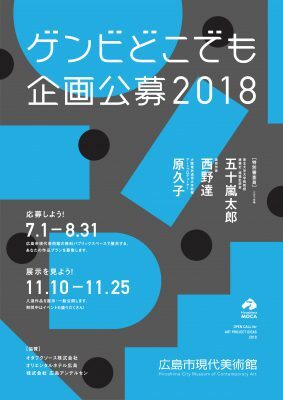 The museum’s 2018 Hiroshima Brand competition is an open program in which the public is invited to submit Hiroshima-related design proposals – the best works will be shown in an exhibition. The competition focuses on ideas for new Hiroshima brands that deal with local specialties, natural features, and culture from the perspective of design. Along with an outstanding idea, proposals should include a plan to effectively convey the allure of the design in a display. 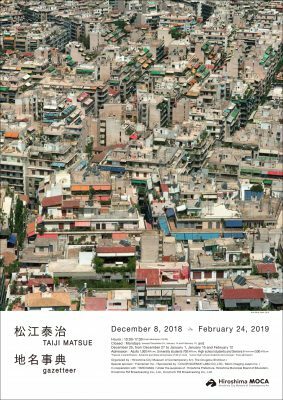 Winning works, selected by a panel of judges, will be shown in an exhibition in February 2019. For details, please visit the official competition website (only in Japanese). 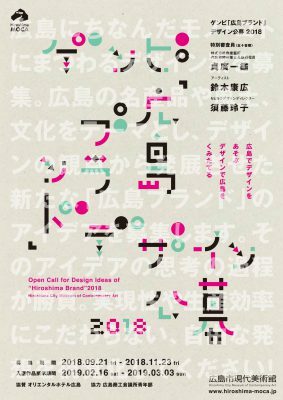 Open Call for Art Project Ideas is an open program in which artists are invited to show their work in a free public space at the Hiroshima City Museum of Contemporary Art (Hiroshima MOCA). 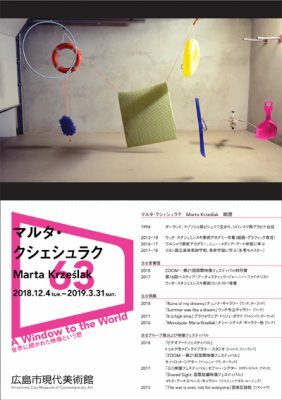 The program accepts proposals from both Japan – and foreign-based artists that are designed for a space outside the galleries in the museum (designed by Kisho Kurokawa) and that make the most of the space’s special characteristics. An important point in judging the works will be how well the space and work draw out each other’s attractive qualities. Any type of work is acceptable – painting, sculpture, installation, performance, etc. 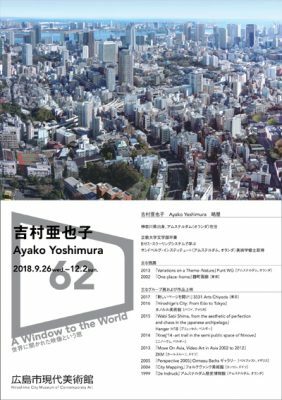 Winning works, selected by a panel of judges, will be shown in an exhibition in November 2018. For details, please visit the official competition website (only in Japanese). New Antique is an experimental group made up of Motoyuki Shitamichi (artist; b. 1978), Hiraku Yamashita (director of the Tochudeyameru fashion brand; b. 1977), and Yuki Kageyama (editor; b. 1982). Actively searching for and utilizing things that might be described as “new antiques,” found in abundance on the street and the Internet, the group explores new values and new beauty. This program promises to showcases group’s (overly) freewheeling research. 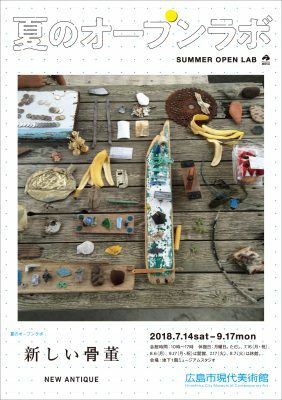 Introducing various approaches to a diverse range of expressive forms, the Summer Open Lab functions as a proving site at the museum and explores the potential for artistic creation. In this work, Yoshimura combines photos taken in 12 cities, including Tokyo, Shanghai, and New York to create an imaginary urban landscape. All we see are architectural structures and natural scenery, and there are no cars or trains running through it, nor any human or animal life in evidence. Without the activity of living creatures, the silent city resembles a ruin. As the electric door of a garage opens and closes, various objects move around: a mattress hung from strings and wires, life preservers, a plastic shovel. Surrounded by concrete walls in the inorganic, homogeneous space of a garage interior, these three-dimensional readymade objects function like elements in an abstract painting. 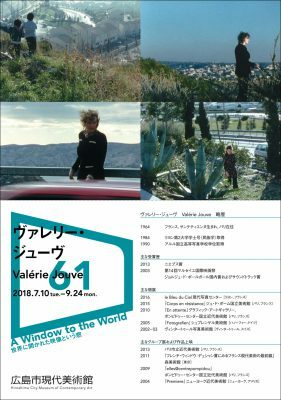 Valérie Jouve is an artist known for documentary photographs based on anthropological and sociological concerns. In this film, she focuses on nature in urban environments, which is gradually being swallowed up by the development of transit networks. This video work shows tourists excitedly taking photographs of themselves amid the breathtaking magnificence of nature. Tourism in Switzerland, with its spectacular natural environment, can be traced back to the custom of the Grand Tour, originating in 17th-century England. In the 19th century, youngsters went to Switzerland in a quest to experience the sublime. 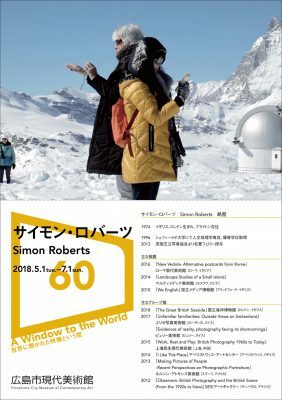 Simon Roberts builds on this historical background while reframing Switzerland from a sociological standpoint.